The overlapping claims of the littoral States on the jurisdiction of territorial waters and sovereignty of smaller islands have made South China Sea (SCS) a geopolitical lake with a perpetual sate of disputes and conflicts. SCS assumes the international strategic significance not merely because of its geographical location but also on account of its being the major sea lanes of communication and rich in oil and natural gas reserves. As a consequence, SCS transforms into an international geopolitical/strategic mess with the huge number of rival claimants in the milieu. The SCS security dilemma is not only complex but also challenging. Given the role and policy-perceptions, the US and China have begun to emerge as the major powers capable of deciding the destiny of SCS. However, the constructive role of other littoral states cannot be reduced to lesser significance, in view of their increased sense of faith in multilateral dialogue option. 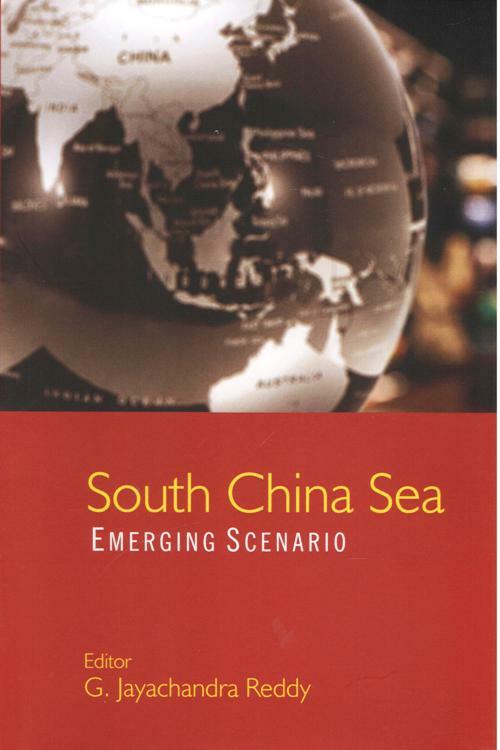 In view of geopolitical and strategic importance of SCS, this book throws light on sub-themes like the nature of the conflict, sources of claims and conflicts, China`s engagement, international maritime laws, different options of diplomacy, response from global powers and potentials of military escalation in the SCS region. Prof. G. Jayachandra Reddy is serving as Director and Chairman, Board of Studies, UGC Centre for Southeast Asian and Pacific Studies, Sri Venkateswara University, Tirupati. His areas of research interests are regional geography, security, strategic and geopolitical issues of Southeast Asia and Pacific regions. He published 8 books and 35 papers, besides participating in 55 national and international seminars. He was a member of the ICWA, delegation to Vietnam in 2017; and Executive Council, Allahabad State University, Uttar Pradesh. He is the Editor-in-Chief, Asia-Pacific Journal of Social Sciences and Editor, Area Studies: A Journal of International Studies and Analyses. Prof. Reddy has visited many universities in abroad like Manila de University, Manila; Gakushuin University, Tokyo; and Vietnamese Institute for Indian and Southwest Asian Studies, Hanoi as Visiting Fellow. He was an Awardee of the Australia-India Council Fellowship (2012-13), Government of Australia. Embassy of Vietnam, New Delhi has conferred an award for his contributions on India-Vietnam Relations. He visited countries like Ethiopia, Dubai, Singapore, Thailand, Philippines, Taiwan, Japan, Australia and Vietnam. Before joined in the current position, he served as a faculty member in the Department of Geography & Environmental Studies at Mekelle University, Ethiopia.